There’s something about the arid beauty of Rajasthan that unfailingly triggers one’s creative faculty. The architectural flamboyance of old forts, havelis and palaces; the riot of colour in the clothes donned by the women and the parched, yet vibrant, landscape nudges an exploration of new avenues of art on an everyday basis. 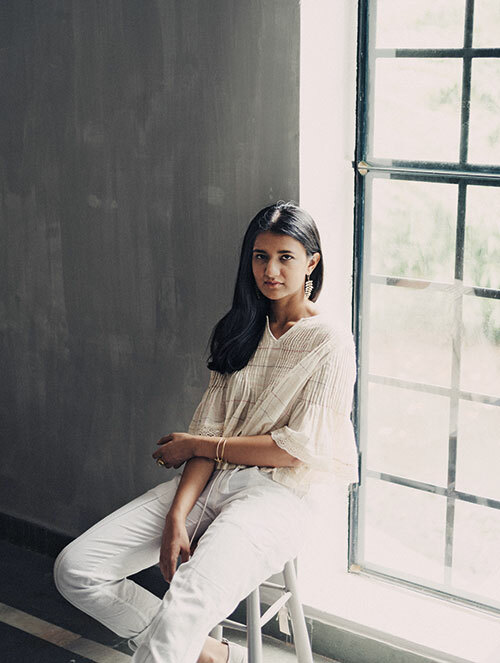 One such inspired soul is Aavriti Jain, of Dhora, whose formative years in Jaipur honed her ability to single out the allure in this barrenness — as did the endless hours she spent at the jewellery workshop of her father, a man whose design aesthetics she has inherited. And thus was born the versatility of Dhora, a brand that has been regaling women with a taste for delicate artistry and skilled workmanship. “Times have changed. We have more working women in our country today and we need to circulate our jewellery as we do our clothes. A pair of precious earrings costs as much as a designer lehnga. This is where an intricately designed fashion ornament comes in. You can have many options without burning a hole in your pocket,” explains Jain. Jain has had would-be brides flocking to her for a pair of vintage brass earrings only because they were tired of the ubiquitous polki or jadau heirloom pieces thrust on them by their families. “I recommend our lotus maang tikka, lotus earrings, chaandbaalis or cow earrings for a wedding function. 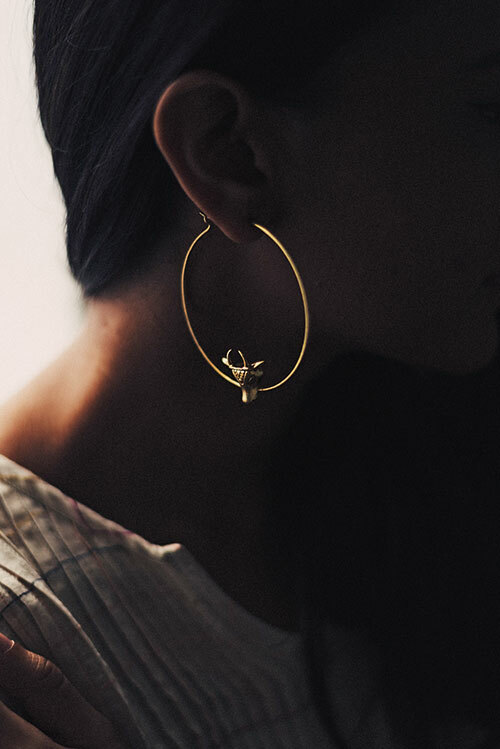 These are exquisite, budget-friendly picks,” elaborates Jain, whose personal taste is rather minimalistic, as demonstrated by her appreciation of works by Ariel Gordon, Suhani Parekh and Céline. While she is all for recommending to brides, the costume bijouterie that enhances their looks and gels with their personality, she feels wearing lookalikes of precious stuff is inadvertently falling into the trap of the need-to-flaunt and a pompous mindset. “The design should be of paramount importance while making the choice.” For the upcoming wedding season, Jain is launching a series of earrings for bridesmaids. “These are apt pieces for the bride’s friends and family. At weddings, we focus so much on the main duo that the others feel left out. At Dhora, we want them to celebrate and look the part, too,” says Jain.